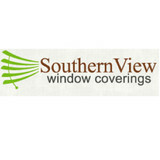 Southern View Window Coverings is your complete, local window coverings provider. We pride ourselves in offering quality solutions for any window on any budget. From simple to elegant, we carry a line of products to transform any room. Design services and professional installation are included to ensure you are completely satisfied with every aspect of your new window treatments. Custom Windows And Doors, Inc. Essential to your Piney Woods, MS home’s beauty, function and feel, windows are one component that should never be overlooked. When they aren’t doing their job, you’ll know it, and the resulting leaks, drafts or other problems can be costly to rectify. Hire a trusted Piney Woods, MS window dealer to help you select and install your windows, and you’ll enjoy the rewards of your smart investment for years to come. Whether you’re building a new Piney Woods home, remodeling an old one or just replacing a few windows that are past their prime, your window dealer in Piney Woods, MS will help you pick the right windows for your needs, home style and budget. Windows come in so many sizes and types that expert advice and direction is invaluable in helping you make the best decision. These pros can also help you with custom window designs that complement your space better than something ready-made. Lastly, if you are interested in doors with windows, these experts are also knowledgeable about sliding doors, French doors and other paned portals. 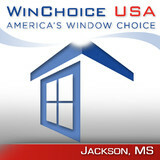 Your window pro might work closely with other Mississippi builders and remodelers as well. Here are some related professionals and vendors to complement the work of window sales & installation: Window Treatments, General Contractors, Home Builders, Specialty Contractors, Siding & Exteriors. Find a window dealer on Houzz. Narrow your search in the Professionals section of the website to Piney Woods, MS window dealers. You can also look through Piney Woods, MS photos to find examples of windows that you like, then contact the window professional who worked on them.